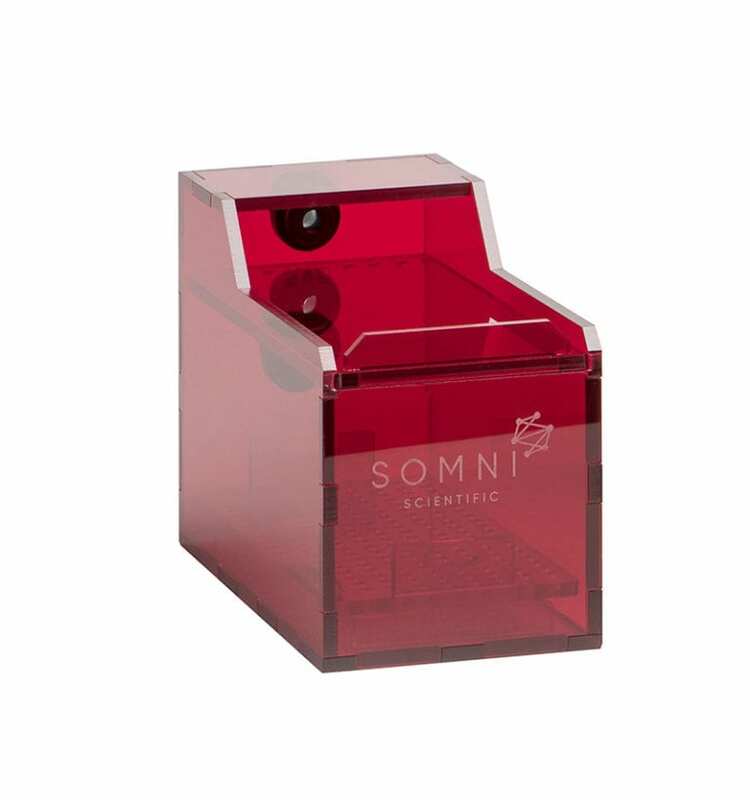 SOMNI Scientific’s InductFlow hooded induction chambers are designed to be used with an active vacuum system such as the SOMNI EPS-3. 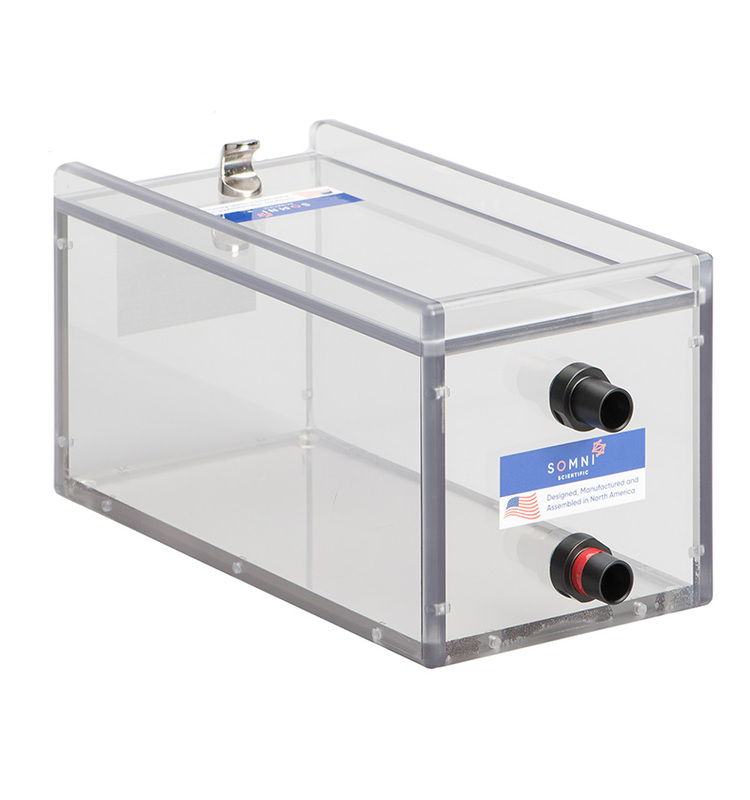 The active style chambers allow for gases to passively build up and exit the chamber via small holes near the end of the slide top lid. 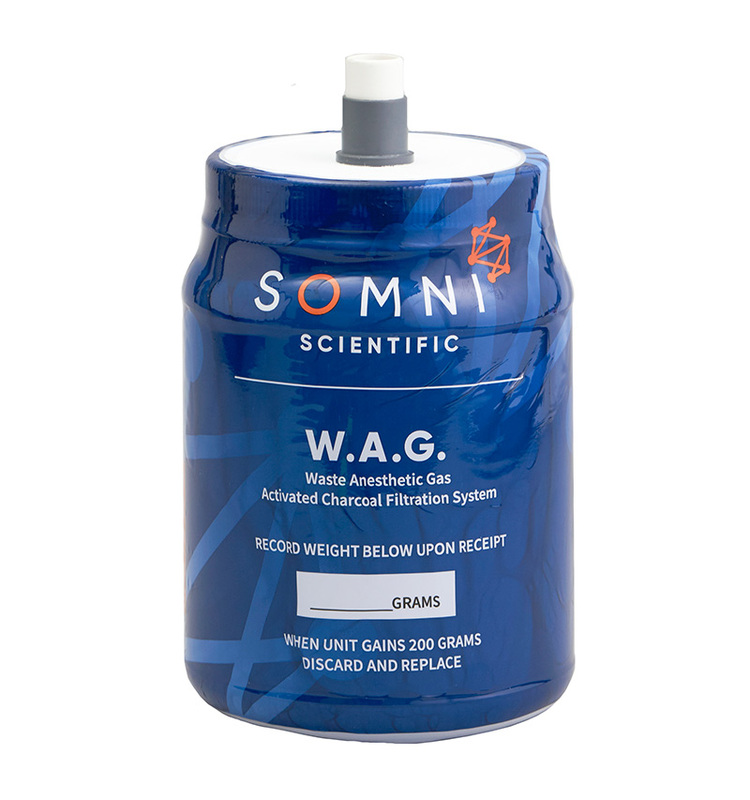 This allows the chamber to be fully saturated with anesthetic gases to ensure proper anesthetic depth of subject. Once gases have left chamber they are drawn out with active vacuum and room air is also drawn over the top of the lid to keep gases from escaping into the workplace. 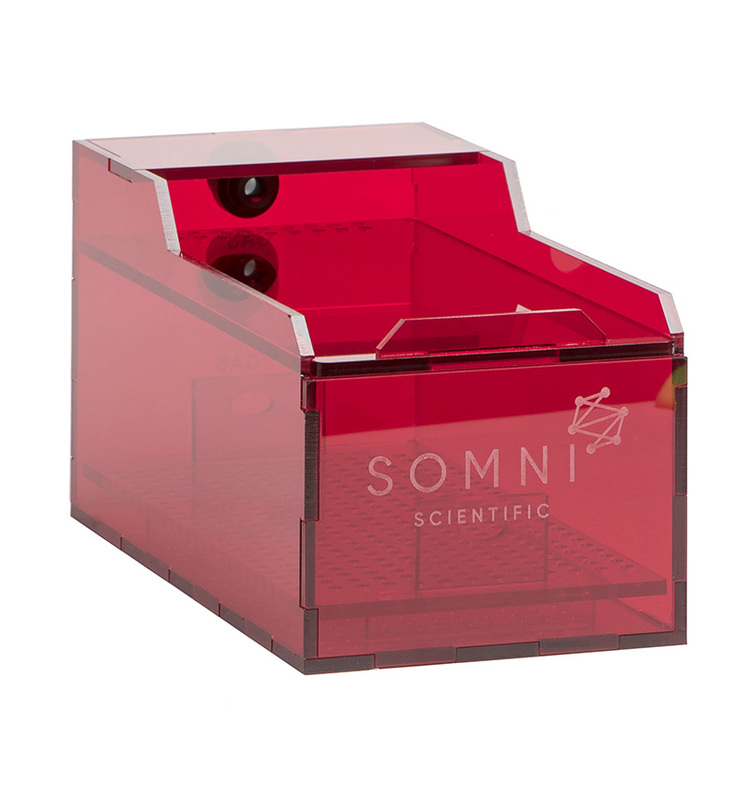 The InductFlow chambers are constructed of a Red Tinted Acrylic and are shatter-resistant. 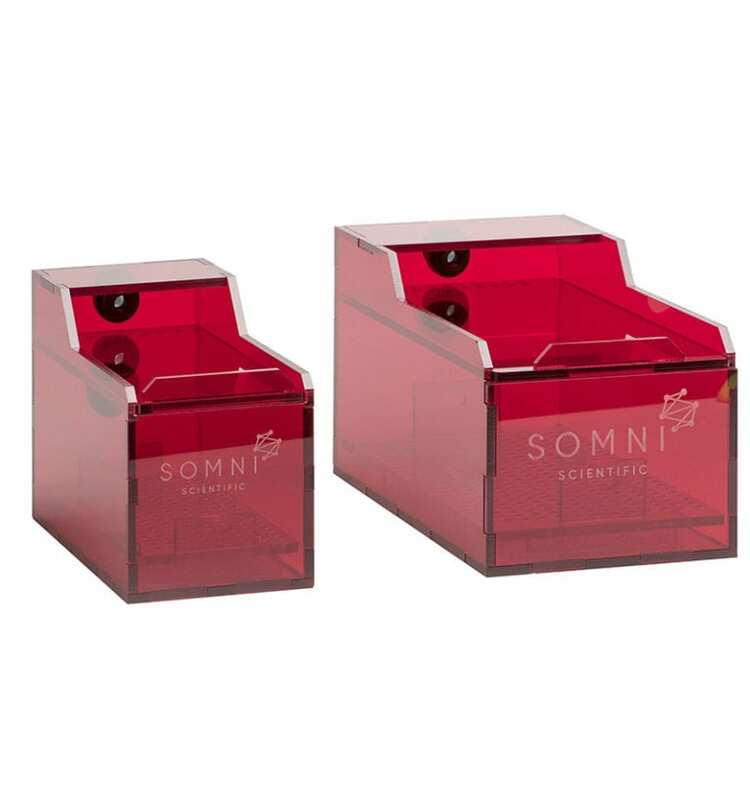 The Red Tint allows for users to see in but does not allow for subject to see out. This creates a less stressful environment for the subject. 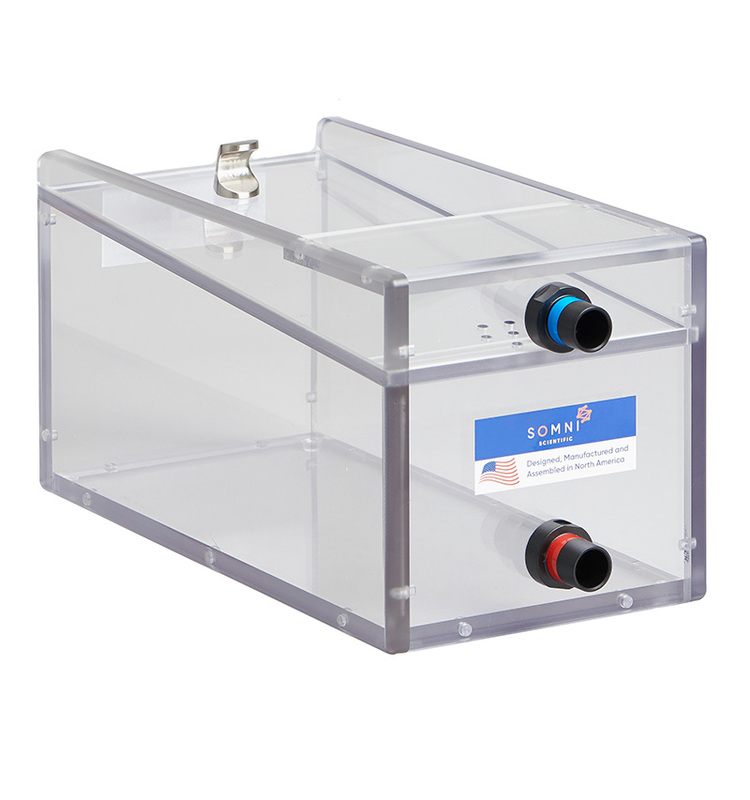 Unlike a “hinge lid” the slide top allows for one handed operation and keeps gases from being “drawn” into the workplace when chamber is opened. 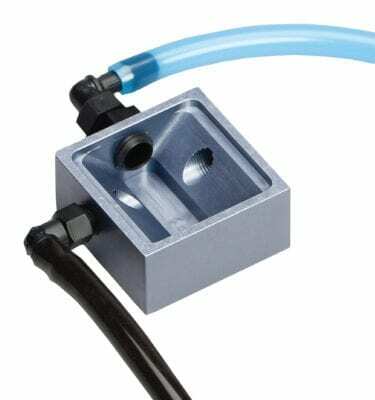 Inlet and outlet holes are located on the back and labeled for ease of use and simplicity. 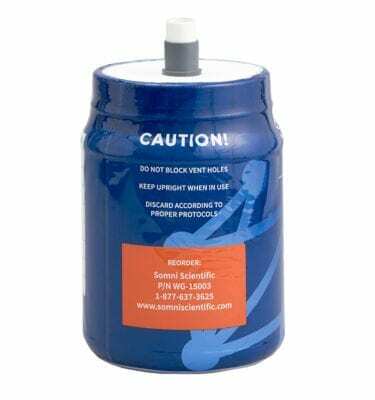 A removable floor liner is included with the InductFlow chambers and can be removed for ease of cleaning. This provides a clean environment for mice/rats to stand on while in chamber. 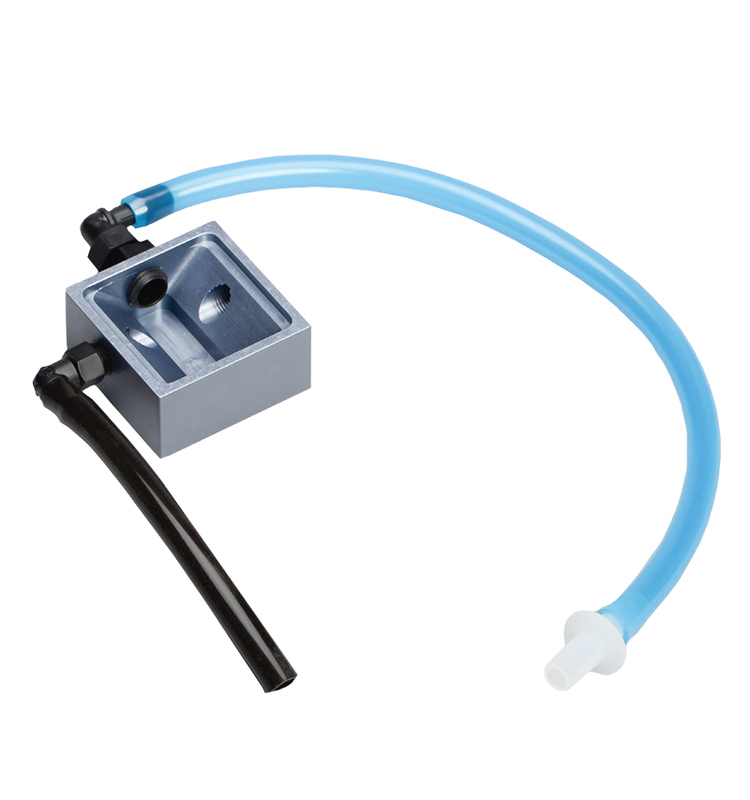 The InductFlow Active Style chambers are available in 2 sizes; Large and Medium.